Another stripped-down, brutal latter-day B movie from the talented duo of Patrick Melton (co-writer) and Marcus Dunstan (co-writer / director), though it’s not as much fun as their splendid COLLECTOR movies or even the best of their SAW sequel collaborations. Josh Stewart, sleepy-eyed tough guy from THE COLLECTOR, here essays a small time criminal whose shady activities for his uncle are flagged up by the eponymous neighbour in their unremarkable small Mississippi town. 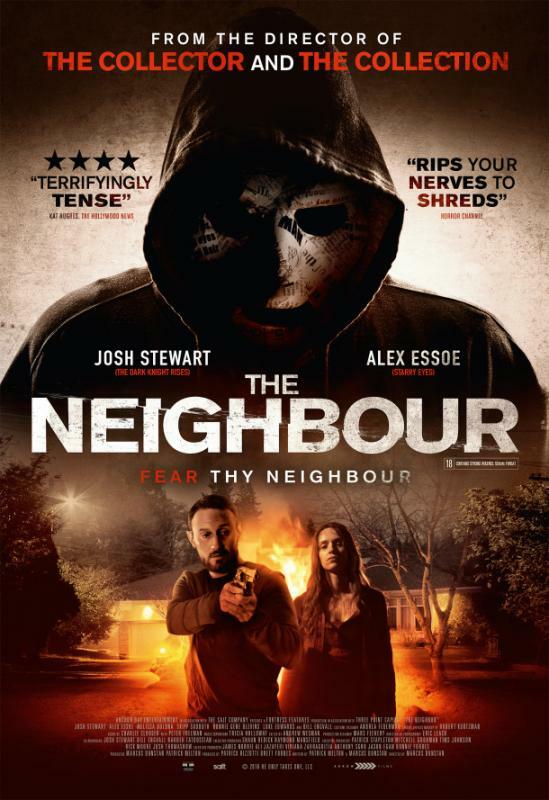 When his girlfriend (Alex Essoe) goes missing, he quickly realises that said neighbour has dark secrets of his own, and soon he’s trapped in the guy’s (Bill Engvall) house with sundry caged abductees held hostage for vast ransoms. In keeping with Melton and Dunstan’s other works, this builds to a violent second half after a compelling opening stretch. Too bad it also feels heavily derivative and not particularly memorable, telegraphing a lot of its story developments.